Learning more about faculty engagement at CollabEx Live! Imagine having (and actually progressing through) a four-year plan to transform your campus’ culture. I was riveted to my seat at CollabEx Live! when I heard Jennifer Galipeau, Director of Outcomes Assessment from Johnson & Wales University, describe her faculty engagement process. She had given more thought to engaging faculty in assessment than is the case for most others I encounter. Although we often hear that the process of adopting a system like Taskstream has facilitated getting the institution’s assessment priorities in order, the path from there remains murky for some. We’ve even heard some jokingly (?) hope that the software itself will do all the hard work of aligning faculty goals for teaching and learning with strategic and programmatic priorities – yet, the reality is, it doesn’t work that way. Listening to Jennifer gave me hope. She was very clear. She had a plan, and she was pursuing it! At the outset of her presentation, Jennifer set the scene. She described the context within which her NEASC-accredited, multi-campus university operated. Next, she explained the relationship between two very significant committees: one at the university level and the other at the college/school level. By having committees at two levels, Jennifer needed to ensure that members could clearly articulate their own committee’s specific tasks and goals in order to take full responsibility for their part. The main emphasis of Jennifer’s presentation related to year two – what she called their “foundations” year. As with building a house (although she used a cute children’s block metaphor), this is the most important part of the process. We all recognize that a solid foundation is instrumental for a successful new structure. Johnson & Wales’ primary value was to have a faculty-driven process. Jennifer’s approach was not to assume that all faculty shared the same assessment vocabulary. She described the very different conceptions of assessment across different units or programs, like Culinary Arts versus English. One of the ways she facilitated the process of creating a shared language was to help to identify key terms, and facilitate discussions about the commonalities and differences between frequently used terms, such as: university outcomes, program outcomes and course objectives. Rather than listing “broad engagement” as one of her goals, Jennifer crafted specific parameters around who should be included on OA (outcomes assessment) committees to ensure that all voices were heard. In addition, she outlined the sequence of meetings and corresponding homework to encourage active participation. At the conclusion of their final meeting, faculty had to take a vote on their program’s assessment plan – inclusive of outcomes as well as methodology. By working within an intentionally structured context for doing this work, faculty demonstrated ownership in assessment planning. This process was pivotal for Johnson & Wales’ ability to move forward successfully. This was just one of many insightful sessions I attended at the CollabEx Live! One of the best things about all of the sessions at this conference was our users’ willingness to share both what worked as well as what didn’t work so well. Their own reflections about lessons learned were invaluable to conference-goers and really demonstrated our shared quest for continuous improvement (not just within our own institutions, but for the assessment community as a whole). We are fortunate that Jennifer shared her slides with us. I wish her continued success and look forward to hearing more about that success over the years ahead! Trudy Milburn translates campus-wide assessment needs into digital solutions and provides tailored demonstrations and trainings to institutions of higher education in the U.S. and abroad. 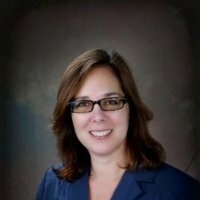 She earned her Ph.D. from the University of Massachusetts, Amherst and has been a tenured professor at Baruch College/CUNY and California State University Channel Islands. Her newest edited book, Communicating User Experience: Applying Local Strategies Research to Digital Media Design, was published July 2015 by Lexington Books. You can learn more about her by viewing her e-portfolio.